Maarten and Aart came to Anna Home. We received them enthusiastically and we enjoyed the days together. When they were at work in Anna Home, they talked and listened to the dreams and plans of the children. 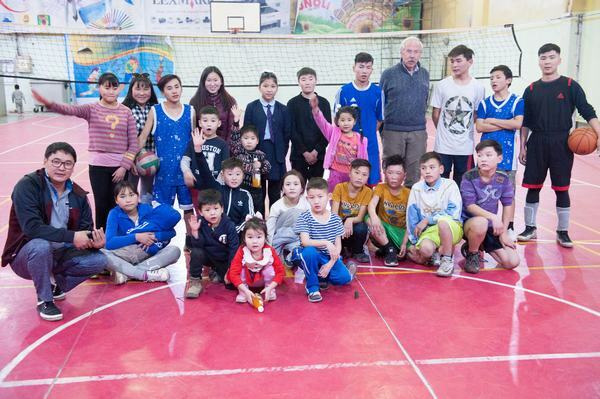 They also played with the kids in the sports hall: basketball, volleyball and many kinds of games. It was a good time for us. We also visited a family in the countryside. On the way we saw gazelles! Maarten and I shared ideas about the children. We spoke for a long time with some of them about their life before and during the time they lived in Anna Home. Aart made the photo’s as he always does. 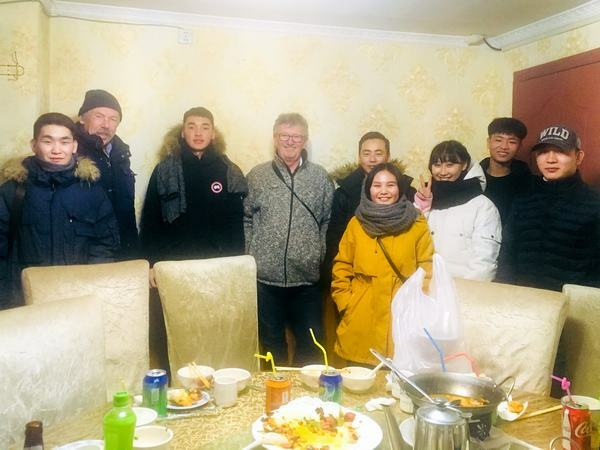 When Maarten and Aart were in UB, they spoke with the students and observed their life in an apartment. We talked about our planning for 2019. We shared some ideas and advises for us and for the children. Invest in new computers and plant in the greenhouse that a group of donors gave us last summer. I want to thank you and the donors very much, also on behalf of the children, the teachers and the guards. 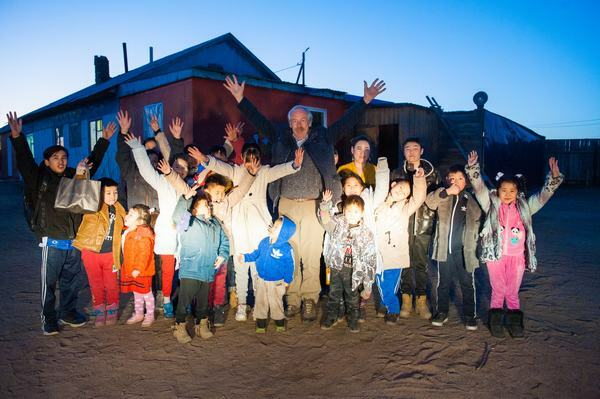 Maarten and I visit Mongolia at the end of February 2019. We have a busy schedule. In Ulaanbaatar we talk with the students. It is becoming a ritual: dinner at the Chinese around the corner from the hotel on a round table on which the delicious food turns around. 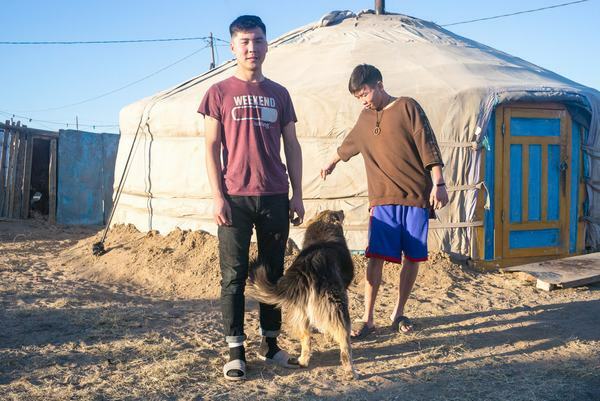 With the help of a translator we talk with the young people about their new life in UB, about progress in University and their ambitions for the future. We notice that they appreciate this attention. During this trip we are in UB on three consecutive Sundays. The second Sunday we visit the apartment in which four Anna Home boys live. Proudly they tell us about life in the apartment. From there they go to school and have their -limited- entertainment in the city. The third Sunday we had another nice meeting, the main subject was: what would you change in Mongolia if you were the president. Proposals: punishment for divorces, better international relations and more facilities for sports. So far life in UB. In Anna Home we are warmly received. We meet the children who recently came. The IT teacher has made an ambitious learning programme for the children. On our request he makes an assessment of the current computers. Investing in future is necessary. In the transition ger the three older boys live. They prepare for independent life in Choibalsan. One of the highlights is an evening with sports, all of us in a big sports hall. This is where the Anna Home family is on its best: sporting, challenge each other, persevere and friendship. A great experience. Which also goes for the farewell. Besides the whole family also Ganbat and Tsermaa of the board are present. 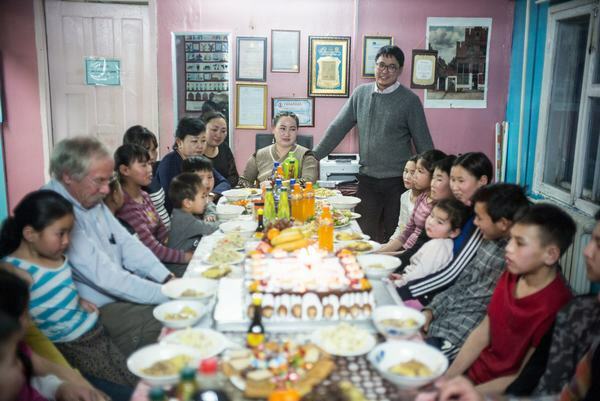 The teachers and Boldsaikhan together with the children have done their utmost. Delicious and varied food, many songs and lots of emotions. Anna Home family: all the best to you! Now on to the spring.